The power of love was huge and great. The 17th New Life Concert was held under the theme, “Let’s share happiness through mother’s love,” and the onsite showed the power of it. In the warm weather that was not like winter, a huge crowd of 20,000 got together at the Gocheok Sky Dome, Korea’s largest complex sports culture facility, and it was filled with their heat. The New Life Concert of the Intl. WeLoveU Foundation has brought warmth to the neighbors at home and abroad in cold winter. 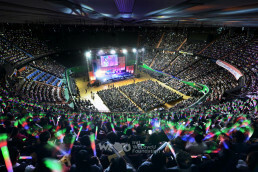 On December 18, at 4 p.m., the 17th New Life Concert was held at the Gocheok Sky Dome in Seoul. 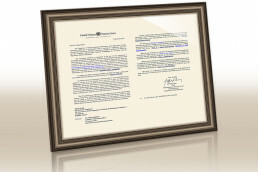 This concert was sponsored by Ministry of Health and Welfare, Seoul Metropolitan Government, Gyeonggi-do Provincial Government, Sejong General Hospital, and Korea Association for Prevention of Child Abuse and Neglect. 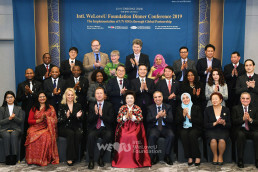 In this concert many people from all walks of life participated: Chairwoman of the Foundation Zahng Gil-jah, the board members of the Foundation, Seojong General Hospital’s President Lee Myeong-mook, President of Korea Association for Prevention of Child Abuse and Neglect Lee Bae-keun, diplomatic groups and their families from 20 countries including Jordanian Ambassador to Korea Adel Mohammad Adaileh. 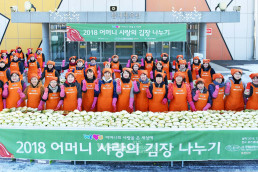 More than 20,000 members and citizens filled the vast Gocheok Sky Dome and spent their year-end, offering their comfort and hope to the neighbors having hard times. Sponsor Chairman Lee Sun-jae could not participate in the concert this year, but sent a video message. And then the President of Korea Association for Prevention of Child Abuse and Neglect Lee Bae-keun’s greeting was followed. Taking the example of the Motherland Monument in Ukraine, which depicts the mother waiting for his son to return from the battlefield, he recalled the meaning of it: “The tower of love of Mother has been built here for our unprivileged neighbors, who are struggling hard in their tough lives that are like battlefields.” Jordanian Ambassador to Korea Adel Mohammad Adaileh, too, offered a congratulatory speech and generously praised international and multifaceted activities of the WeLoveU Foundation. He appealed for further attention to the refugees who had lost their homes, explaining that people, who were suffering from disputes and disasters, were increasing. At the donation delivery ceremony, our neighbors suffering from disaster and poverty in five countries—Ecuador, Myanmar, Vietnam, Chile, and Paraguay—were provided with educational facilities, daily necessities, and medical expenses; and medical expenses and living expenses were delivered to 67 domestic households who had been marginalized from the governmental welfare service. Chairwoman Zahng Gil-jah herself handed out the sponsorship certificates and gifts to the invited beneficiaries, and comforted them by holding their hands. The members of the Foundation and the citizens lavished the applause of encouragement on them. In one voice, the audience followed along the songs with the cast; and every time a stage was over, they had let out a big applause and a shout that the domed stadium reverberated. The lights, which filled the stadium, rolled along the songs and created a magnificent spectacle. The beneficiaries too had a good time, watching the concert after receiving their sponsorship certificates. A foreign student named Wajid (Daejeon, Korea) was invited to the concert by a member of the Foundation. He drew our attention with his mirth and his talent during the whole concert. When the concert was over, he could not conceal his overwhelming expression. “Although we are different in country, culture, and language, we can understand each other in one language of love. Life for others is sublime but difficult. I am proud of all those who are doing this,” said Wajid. The New Life Concert didn’t spare to comfort and encourage each other. It was truly a healing place where there was no giver and receiver. The audience wished the concert would go longer, but left for the next, hoping that their hearts would be remembered.